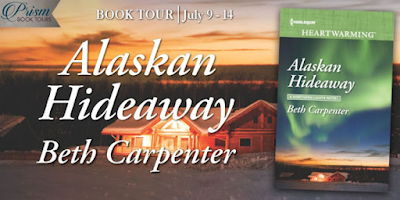 Beth Carpenter’s snow-filled Alaskan Hideaway is the perfect escape when the heat of summer gets to be too much. It’s sweet and romantic and plenty of Alaskan fun—don’t miss it. An innkeeper who takes care of her orphaned goddaughter, Ursula Anderson has a tendency to try to fix anything she sees go wrong. 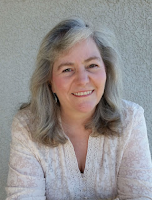 When grieving author R.D. “Mac” Maclead moves into the next-door cabin, she cannot resist the opportunities to pull him out of his shell of loneliness and solitude (despite his protestations). 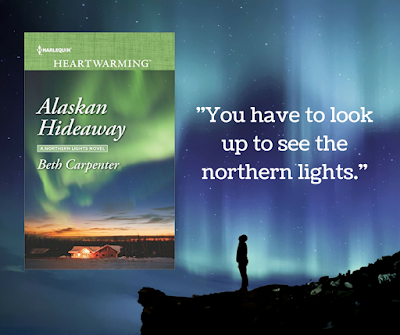 With heartwarming and heartbreaking moments alike, aided by a spirited girl and beloved dog, their friendship and romance develops endearingly throughout the pages. It is no easy journey for these two, but the growth they experience is well worth it. So, I enjoyed the story of Alaskan Hideaway, and I’m sure other readers who enjoyed contemporary romance will enjoy this one, too. 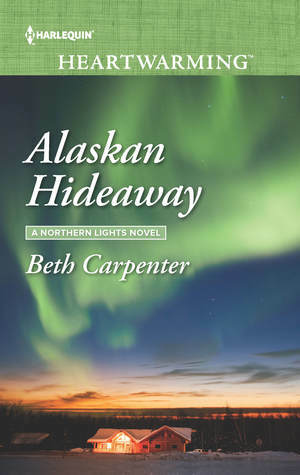 Though it’s the third in Carpenter’s Northern Lights series, it can easily be read on its own (but if you’re like me, Alaskan Hideaway will leave you wanting to go and read the first two, too). Thanks to Prism Book Tours, I received a complimentary copy of Alaskan Hideaway and the opportunity to provide an honest review. I was not required to write a positive review, and all the opinions I have expressed are my own. Among the Reads | Reading Is My SuperPower | Stacking My Book Shelves! 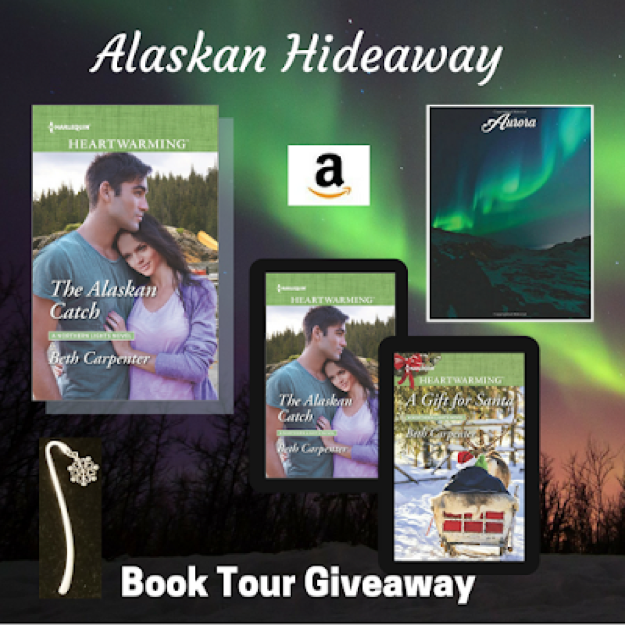 Thank you for featuring Alaskan Hideaway on your blog today, and for the lovely review. Happy to share, Beth! Your book was a pleasure to read.